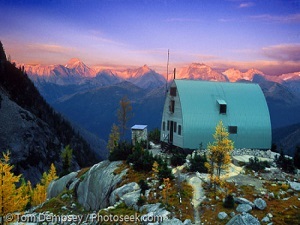 Built in 1972 by the Alpine Club of Canada, it sits on a bluff overlooking the main valley of Bugaboo Creek. Once at the trail head, expect 700m of elevation gain in 4.5km to reach the Kain hut at 2230m which takes about 2.5-3 hours. Another 45min-1 hour and 250m of elevation gain gets you to Applebee campsite at 2480m. 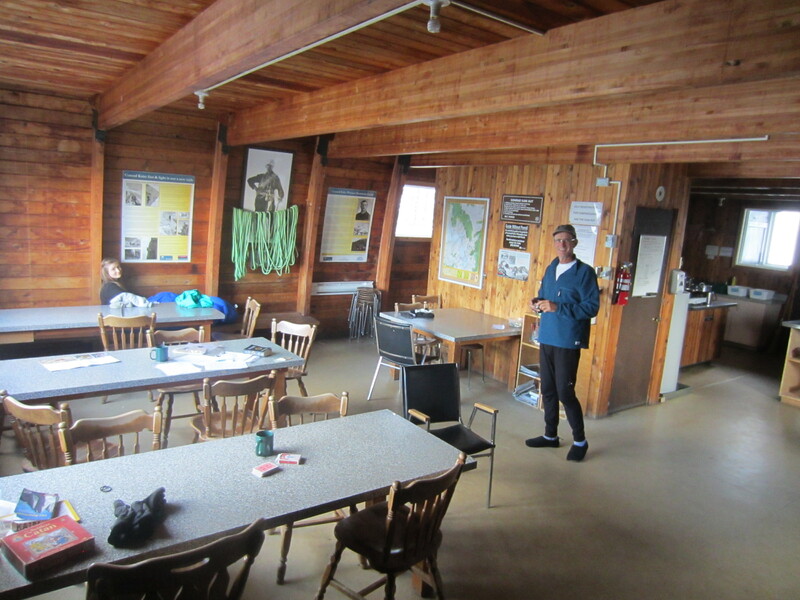 The hut accommodates up to 40 people and is equipped with thick foam beds, multiple propane stoves and oven, dishes and cutlery, hot water and electric heat! You must bring a sleeping bag. A hut custodian is always present and has the ability to make emergency calls via satellite phone. 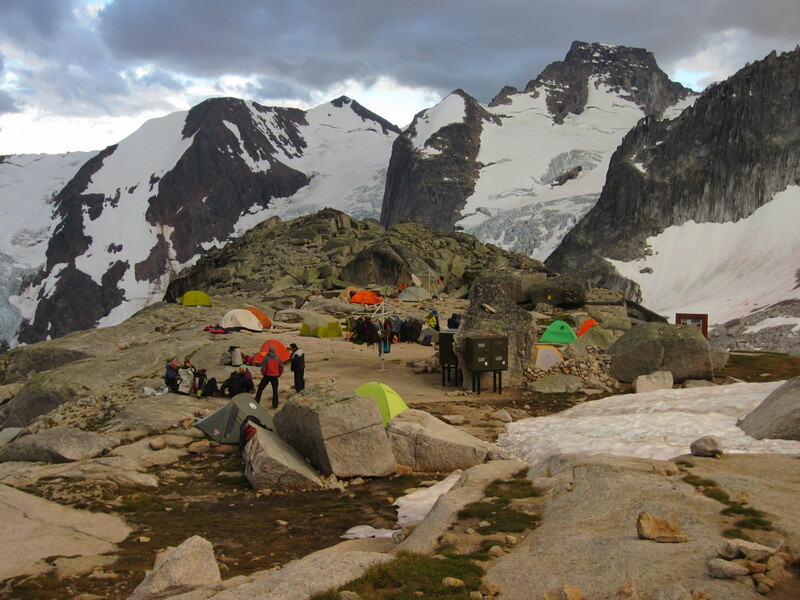 There is no Cell Reception available in the Bugaboos. As your guide I always carry in my pack a hand held VHF radio with communications to CMH Bugaboos or the hut custodian. I also carry a SPOT. 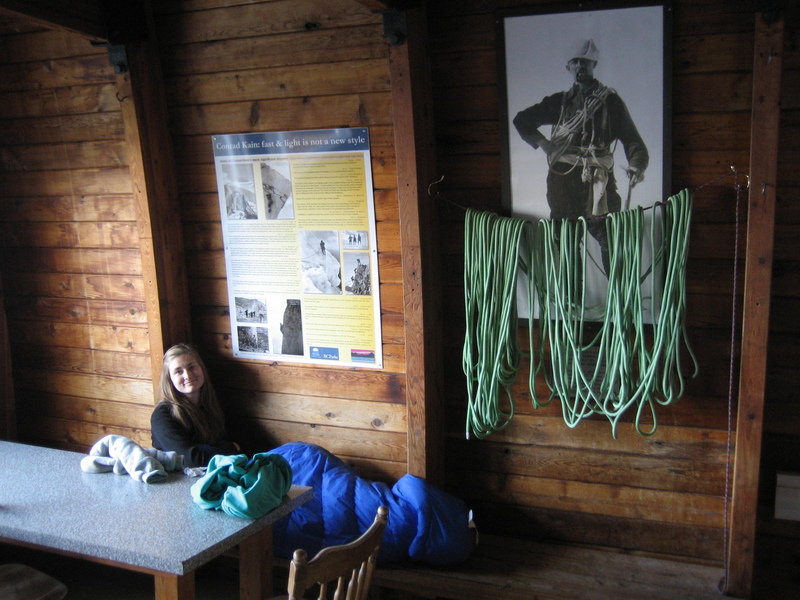 Hut Rates are $25 per person per night and free for me being an ACC Member/Mountain Guide. Applebee Campsite rates are $15 per person per night (not free for guide) and is officially a BC Parks campsite maintained by the hut custodians. There are 2 outhouses and 3 large storage units for food along with “Metal Trees” to hang your packs on. Beware the Snaffle Hounds…they eat anything and everything! Staying at the Kain Hut and having me making a reservation is recommended.